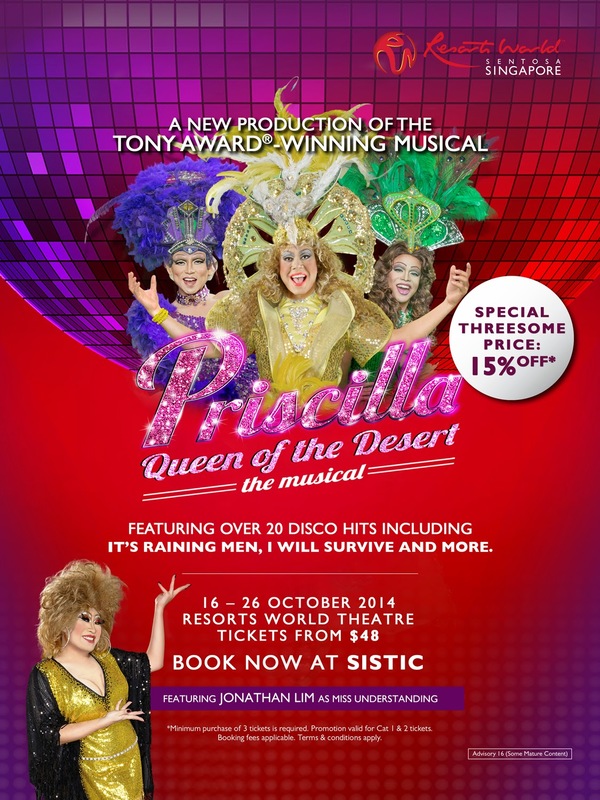 Priscilla - Queen Of The Desert the Musical has a message that is beautiful and inspirational. It is a message of unconditional love with no borders and prejudices. That life is to be lived to the fullest regardless of race, color, religion or orientation. Its story is a bold statement that you can be whom you are, love whom you want, be loved in return and you should and can choose to live your life however way you want with whomever you want to. Amidst all the hate, biasness, resentment and negativity, individuals can still shine from within to with out. Celebrate life and love the way you want to live and love. It’s truly a Musical that celebrates ones true colors. Don’t miss out on this wonderful, fun, touching , vibrant, inspirational and exciting show. It is an expression of one’s true self. It’s time to show your true colors and be proud of who you are!!!! Now!!!! It’s indeed a platform from which to celebrate together , life the way it should be… a night of timeless classic songs from the 80s that will keep your feet and heart dancing throughout. Priscilla - Queen Of The Desert the Musical is all that and more!!! See you there at the musical and join in celebrating your true colors with us!!! Visit http://goo.gl/R2s3At to purchase the tickets now!